This menu is generated by Expression Web Menu. 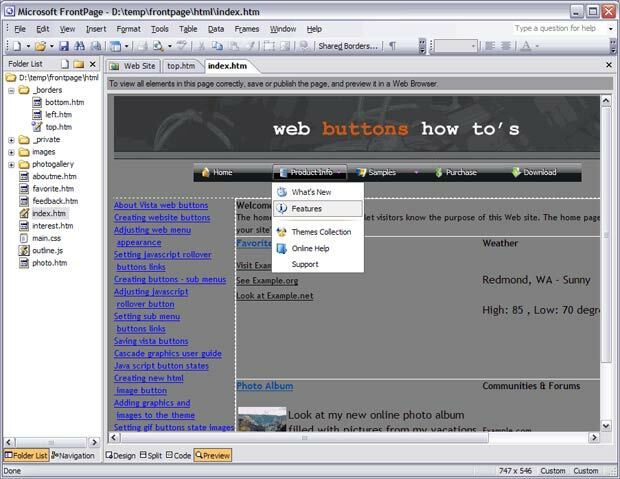 The Vista Buttons add-in for Expression Web and Frontpage allows you to create powerful dropdown menu menus, directly in Expression Web, FrontPage 2000 (version 9), Microsoft FrontPage 2002 (version 10), Microsoft Office FrontPage 2003 (version 11). Fully customizable appearance! 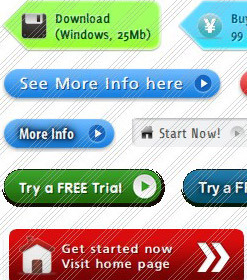 Use one of the 500+ web buttons, 100 submenu designs, 6600+ icons, 50 ready-made samples, or create your own using the theme editor. With support for custom images, icons, colors, font styles, the possibilities are limitless. You'll create really nice looking website html menus and html buttons with little or no design skills at all! 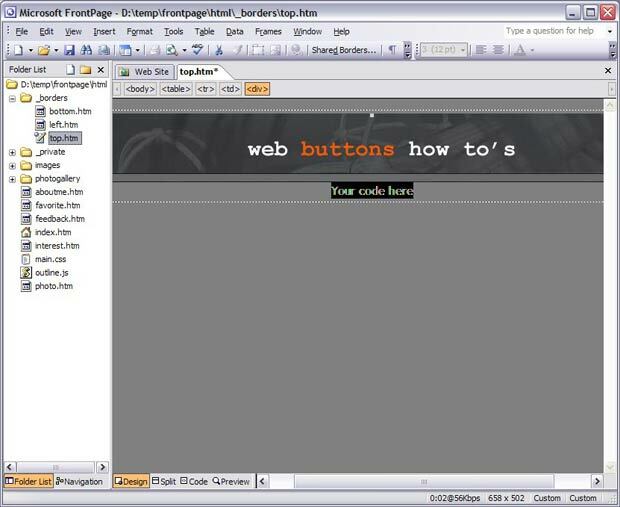 Create, insert, modify a website menu without leaving your favorite web development environment! 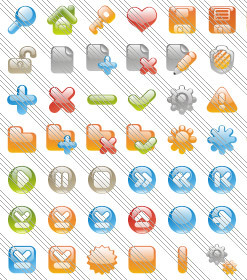 Expression Web Menu provides huge collection of 1400 web buttons, 6600 icons, 300 ready-made samples, so you'll create really nice looking menus and buttons with little or nodesign skills at all! Web 2.0, Mac, iPhone, Aqua buttons, Vista, XP, transparent, round, glossy, metallic, 3d, tab menus, drop down menus will be a breeze! 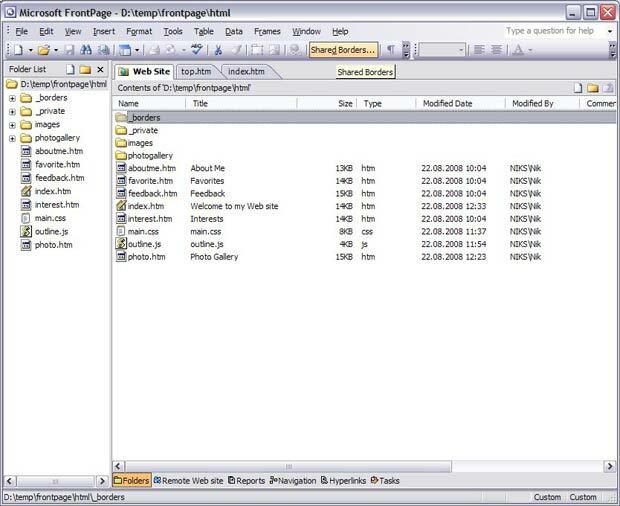 Using Expression Web Menu you can save menu graphic picture as gif-files (*.gif). 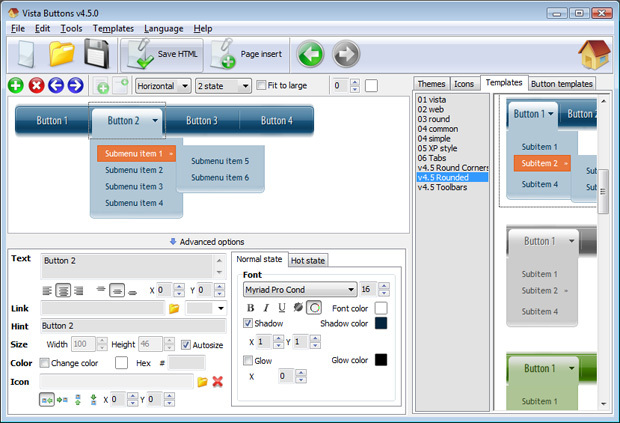 Expression Web Menu generates html code which is transparent to search spiders. 1). Create and save your buttons in any temp folder using Vista Buttons application. You canuse "Save as HTML" function. Choose "Format/Shared Borders..." from the main menu. 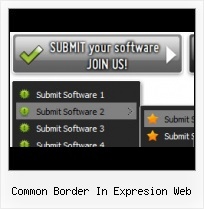 This will bring up the Shared Borders dialog. 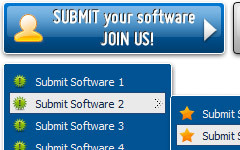 - Make sure "All pages" is chosen in the 'Apply to' section. 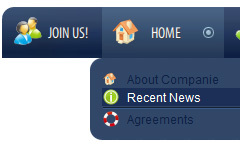 Check the "Top" checkbox to activate the top shared border page and click the OK button to close the dialog. A new subfolder should appear in the Folder List section in the main FrontPage window with the top.htm file in it. This is our top shared border page. Notice that you can choose any other shared border position to install the drop menu as well. - Go back to FrontPage. Switch to HTML View. Go to the "Edit Menu" with FrontPage and select the "Paste" option to paste the menu code that we copied to the clipboard earlier. Since the phrase we typed was highlighted, it will be replaced when we paste the code in. 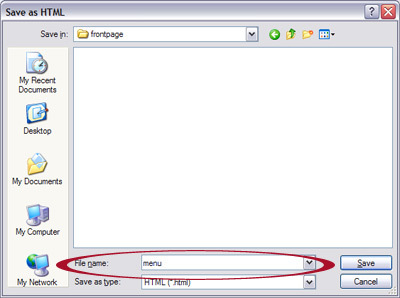 - Now you should copy the "menu-files" folder into the same folder with your top.html shared border. (You should show hidden files to see files of your website. 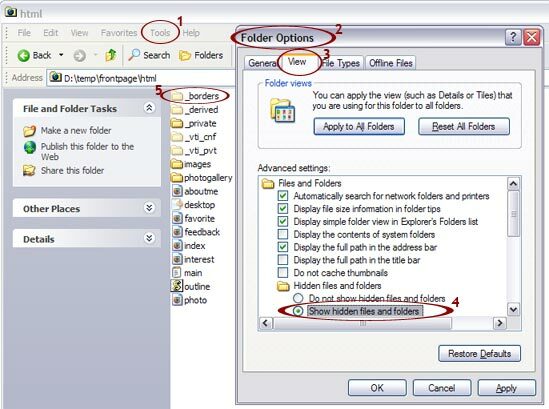 Go to "Tools/Folder options"). 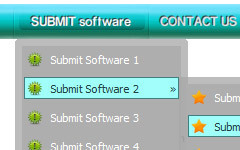 - Notice that in the Design mode your menu may be displayed not in the proper way. You should view the menu in the Preview mode. - Select the Preview mode to display the top.html page live (in Internet Explorer). Notice that your mouseover images can be not displayed when you hover over menu items in the Preview mode. It is normal. You'll see all images when you open index.htm page in the Preview mode. - That's all. You've added all necessary code to your page, so let's test it. Open your index page (double-click index.htm in Folder list window) and switch to the Preview mode. 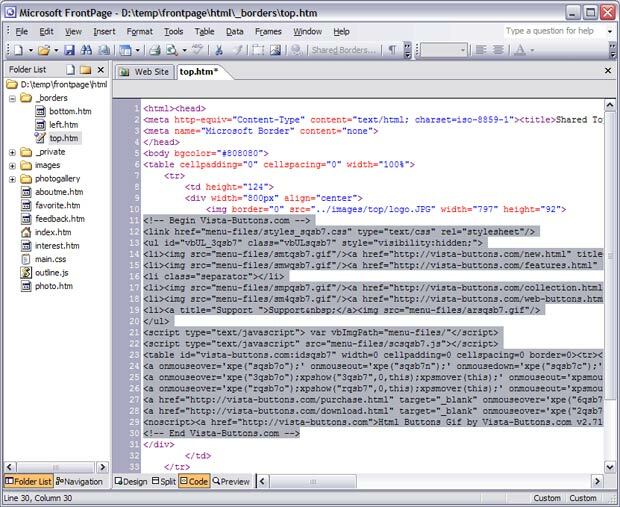 "..How can I set up Expression Web Menu dreamweaver extension?" Microsoft Expression Web Dynamic Web Templates are capable of allowing you to apply a common look and feel to all the pages in Web components, themes, and shared borders, in Expression Web. "..popup menus created using Expression Web Menu application are quick, compact and compatible with all modern web browsers.."